Worked great! I used Spiral Mode in Cura (in other modes) to make the entire ornament one layer. 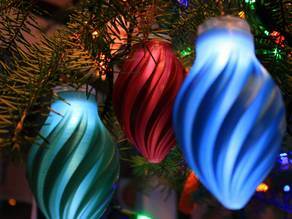 Also, it looks great on the tree with an RGB LED inside! I'm definitely going to make more of these.